AVAILABLE OFF-SEASON 2019-May thru December. In a class of its own. This stunning contemporary condo sets the standard for impeccable stylish living. 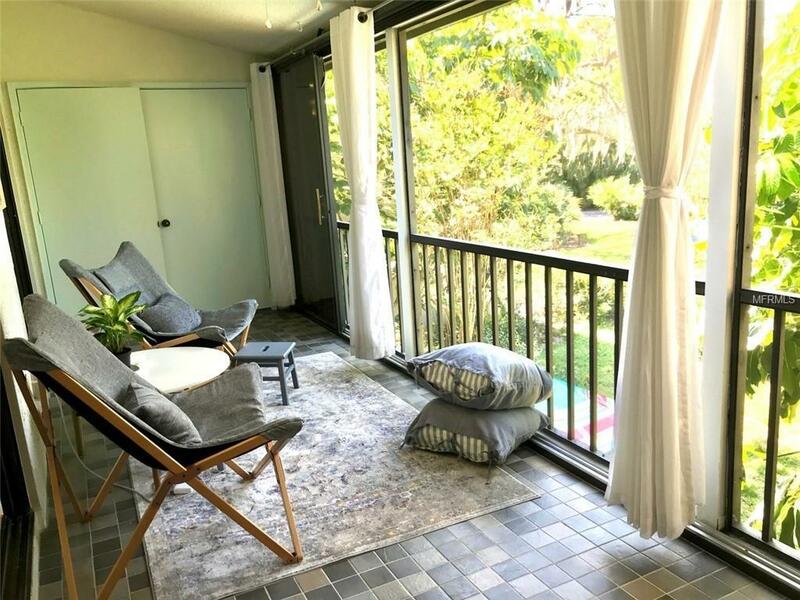 Set amid the lush, natural surroundings of one of Sarasota’s most sought after gated communities, this 2 BR + den is an oasis of refinement, sure to please the most discerning tenant. Step into the sun-drenched living room with open floor plan, vaulted beamed ceilings and 12-foot clearstory windows. Commanding the room is a huge sectional sofa, extra deep and super comfortable complemented by chic designer rug. The entire back wall of the living room opens onto the tranquil lanai with tropical foliage filtering the late afternoon sun. The dining area is right on trend, freshly furnished with an elegant table and chairs on sleek chrome legs over a thick Moroccan carpet. In the bedrooms, crisp furnishings against soft blues and grays carry forward the fresh, uncluttered simplicity of this beautiful home. You will love the master bedroom with vaulted ceiling and a beautiful view through sliding glass doors opening directly to the lanai. The ensuite bath features a new glass-walled shower and oversized vanity with plenty of storage. 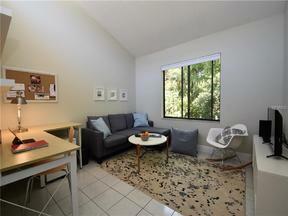 The fully equipped kitchen is warm and inviting with maple wood cabinets, all new appliances and countertop. A second queen-sized bedroom with full bath and a comfy den with cable TV, couch, velvet pillows and desk, complete the condo’s delightful blend of sophistication and charm.